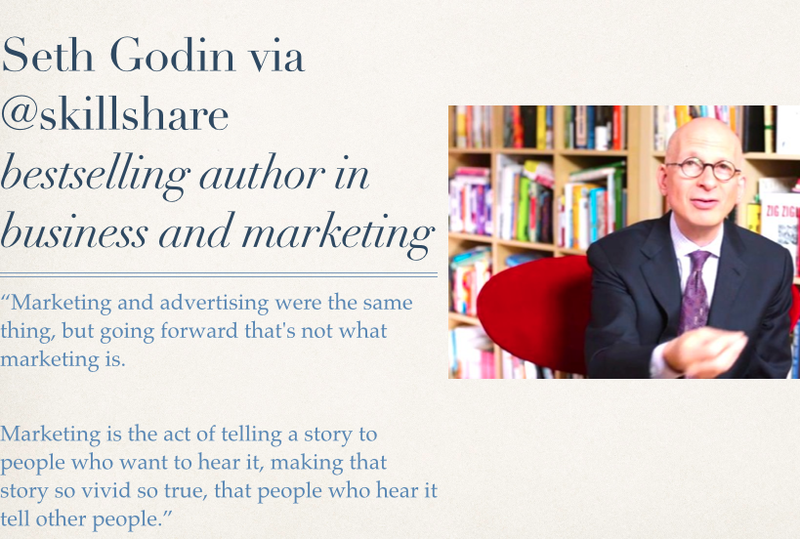 Seth Godin marketing class on skillshare bestselling author in business and marketing. Growth hacking marketing tips and quotes by Seth Godin. Marketing and advertising were the same thing, but going forward that's not what marketing is. Marketing is the act of telling a story to people who want to hear it, making that story so vivid so true, that people who hear it tell other people.